Greek, Etruscan, & Roman Bronzes (MFA), no. 056; Sculpture in Stone and Bronze (MFA), p. 119 (additional published references). 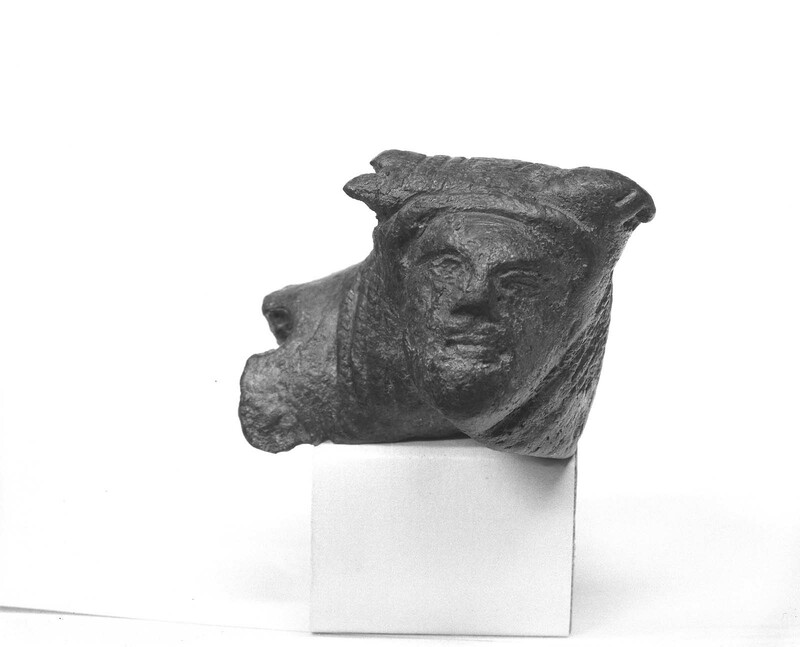 The protome takes the form of the head and neck of a man-headed bull, probably river god Acheloos. The face is bearded, and the mane hangs down either side below the horns; the neck is formed of the typical, loose skin of the bull, treated in broad folds or large wrinkles. The bronze is cast solid, and the rivet-hole at the break on the left and the curved underside suggest that this protome adorned the rim of a large vessel. Corroded and cleaned. Greenish-black patina.